Monday morning rush hour is not the worst time to drive. New figures from Paris confirm experience in the Netherlands: aside from the Friday getaway, the times to avoid are Tuesdays and – particularly – Thursdays. Also, a quick look at ‘best chef in the world’s’ restaurant in the shadow of the Millau Viaduct. Rush-hour jams up in Paris, but the Peripherique is faster. Thursday is the worst day on the roads overall while Tuesday morning and Friday evening are the other peak times for traffic says a new analysis by Paris road monitor V-Traffic. These findings chime somewhat with traffic in the Netherlands too where, it was revealed last year, five of the top fifteen most congested days since 2010 were on Thursday evenings, and Tuesday mornings were not far behind. Meanwhile in the French capital, rush hour jams grew by 10% in 2015, and by 22% in the past five years. The most congested road is the A6 autoroute to the south of the city centre. Busiest of all was just after the Paris Attacks in November lending credence to the theory that Parisiens avoided public transport in the immediate aftermath. But a graph from Instadrive shows traffic was already building up to that peak beforehand, again exactly like in the Netherlands which also saw record jams in November. The other busiest day last year was during the June taxi strike, depressing as Paris looks forward to a re-run tomorrow. The quietest rush hours were Monday evening and Friday morning. The quietest periods were during the winter holidays in February, and summer holidays in July and August. Other data provided by V-Traffic bolsters the arguments of pro and anti-car campaigners alike. Cutting the speed limit on the Peripherique ring road from 80kmh to 70kmh has improved journey times. A rush hour circumnavigation now takes 55mins at an average 38kmh compared to 63mins at 33kmh beforehand. 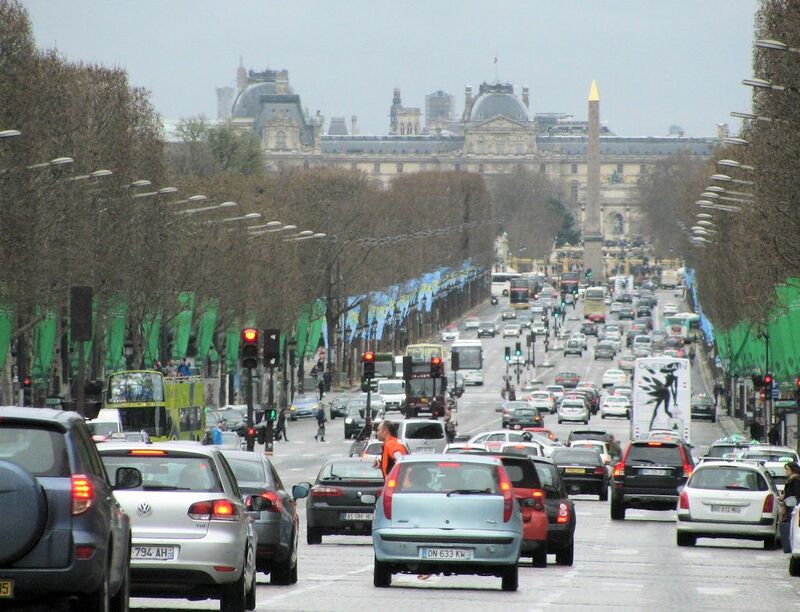 However, V-Traffic is concerned about new plans to pedestrianise the right bank of the Seine in the summer saying it will just increase congestion on other east-west axes in the city. 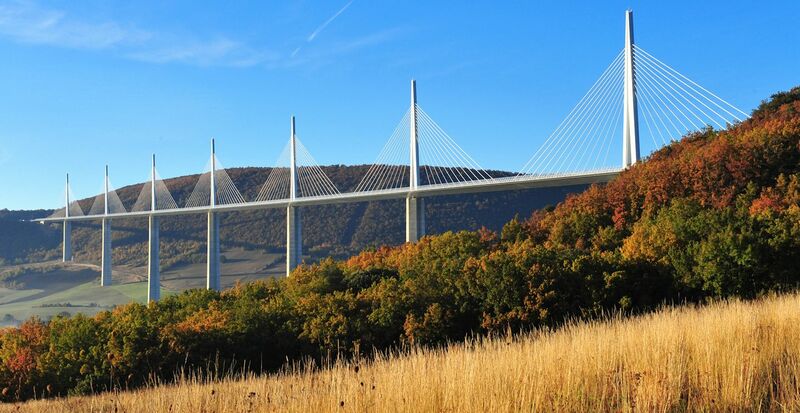 A restaurant from the man named best Chef in the World last week – Michel Bras – offers drivers a world class taste of the Aveyron region while drinking in this view of the extraordinary Millau Viaduct in the South of France. With prices ranging from €5.90 to €15.70, Capucins is great value too. The name comes from the local ‘Capuchins’, cones of bread filled with delicacies. From the north, come off the A75 at the ‘Aire du Viaduc’ just before the bridge. From the south, take J45 then follow signs to the aire along the D911. Open daily, all day April-November.